At RJ Plastics our inventory and access to material are unbelievable! We carry a large inventory of acrylic displays. 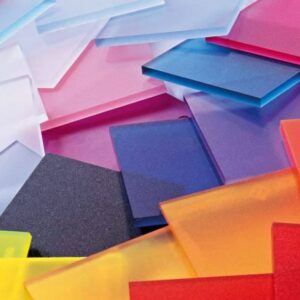 We also stock various types of plastics and many color options are available. We specialize in the design and fabrication of acrylic store fixtures and displays. The latest machinery and technology is used to produce the best possible displays with outstanding quality. For years we have manufactured, supplied, and distributed displays for the retail industry such as: Promotional displays, point of purchase displays, merchandising displays, slatwall, gridwall, and peg board displays, custom design and acrylic displays. Some items include but are not limited to trays, shelves, risers, brochure, literature and sign holders. Our capabilities are extensive and we will work with you to meet your custom display needs. At RJ Machining our customers needs come first! We service various manufacturer’s plastic machining needs, such as Transportation Equipment, Automotive Dunnage, Industrial, Commercial and Farming Machinery, and many other industries. We have capabilities to read and work with various drawing file types. Manual capabilities are also available. 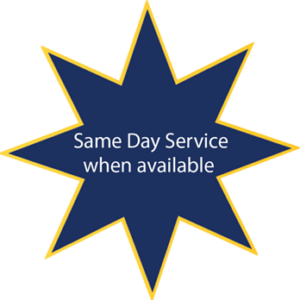 Our business was built on outstanding customer service, a great selection of inventory at great prices, and fast and accurate shipments. 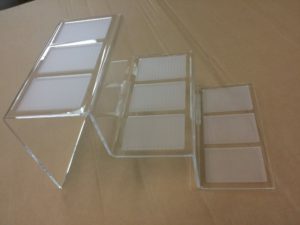 Please contact us with questions about how we can accommodate your plastic display store fixture needs. 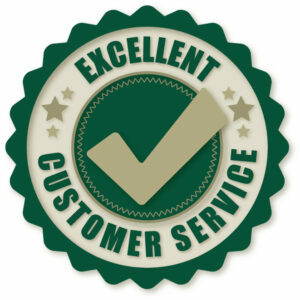 At RJ Plastics, customer service is our priority. 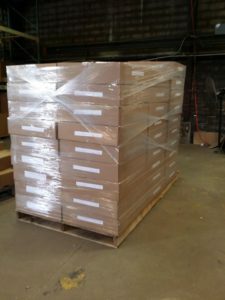 Our 50,000 square foot warehouse allows us to stock an extensive inventory. 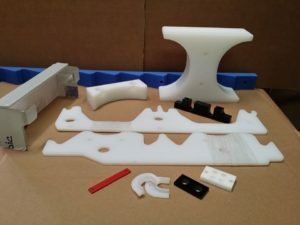 We aim to be your single source provider of custom plastic and wood products. 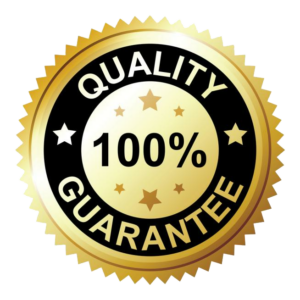 With over 30 years experience, we are dedicated to providing our customers with top quality products, on time, and shipped accurately.